How Do I Determine Child Support Amount in Washington State? Whether you and your child's other parent are recently divorced or were never married, both of you are responsible for contributing financially to support your child and meet his needs. The amount of monthly child support you must pay is determined by the Washington family court, and issued as a court order. To determine your child support amount in Washington, the family court considers a few factors. First, the court will consider your monthly net income to determine the amount of child support you will be obligated to pay each month. Your monthly net income is the income you receive after deducting expenses like taxes and any contributions you make to a retirement plan. Essentially, this is the amount you actually take home each month. Generally, as your monthly net income increases, so will your child support obligation. When determining your monthly child support obligation, the court will also consider how many children you are obligated to support. As the number of children increases, your monthly support to each one will decrease. Therefore, if you have four children, you will typically pay less per child than if you have only one child. Your child’s age will also affect your child support obligation. The state of Washington classifies children into two age groups: 0 to 11 years, and 12 to 18 years. After a child reaches the age of 18, your child support obligations stop. Child support obligations are typically higher for the older group of children. Each situation is unique, and the court considers all circumstances that may affect your child support obligation. For example, if you earn less than $1,000 per month net income, the court determines your child support obligation based on your resources and living expenses. However, the minimum amount of child support you have to pay -- regardless of your financial circumstances -- is $50 per month. In addition, the court will limit the amount of child support so that a parent is not spending more than 45% of his net income on child support, unless good cause is established. Also, if the combined income of both parents exceeds $12,000 per month, the court may set the amount of child support higher than the usual "presumptive" amounts -- this is done at the court's discretion. The court will also consider the income of the custodial parent, the household’s assets, and childcare expenses. There is no typical child support amount in Washington, as many factors can influence a child support order. However, the Washington Legislature created a child support economic table to help you determine, as a ballpark figure, how much your monthly child support obligation might be. For example, if your combined monthly net income is $4,000 per month and you have two children age 11 or younger, as of 2012 the total support obligation would be $473 per child per month, divided between the parents according to their portion of the earned income. Illinois is one of only 10 jurisdictions that still calculates child support the good, old-fashioned way, based only on the non-custodial parent's income. Along with eight other states and the District of Columbia, Illinois courts use the percentage of obligor's income formula for determining a non-custodial parent's obligation. This formula doesn't incorporate your spouse's earnings, but if you're divorcing and you think you'll be the non-custodial parent, it makes it relatively easy to understand what your obligation will be going forward. When you file for Chapter 7 bankruptcy in California, the court will consider your monthly income to determine your eligibility. Chapter 7 bankruptcy involves selling your assets to repay your creditors. At the end of the bankruptcy case, you will receive a bankruptcy discharge and all debts included in the case will no longer be legally enforceable. However, the maximum income you can earn in California and still be eligible to file for Chapter 7 bankruptcy is $47,433 for a one-person family and $74,122 for a four-person family, as of 2012. How Much Will My Ex-Husband Pay in Child Support in Alabama? 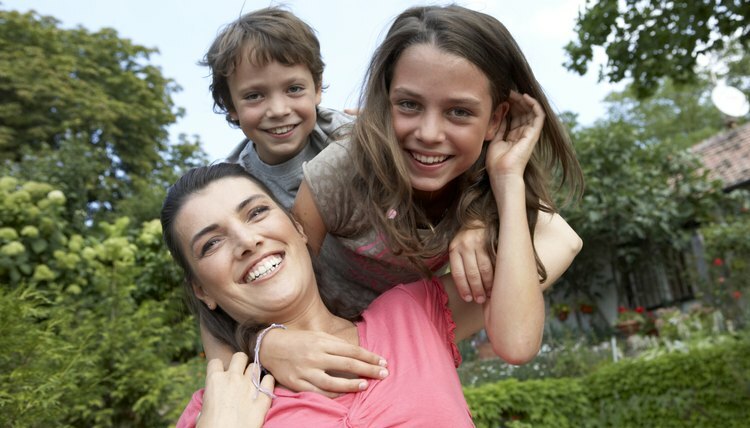 How Does Child Support Work in a Shared Custody Arrangement in Michigan?